My husband and I do not have any children to feed or bathe or comb or tuck into bed at night. We do not have any pets to walk or snuggle or groom or take to the park on Saturday mornings. We do, however, have bushes. 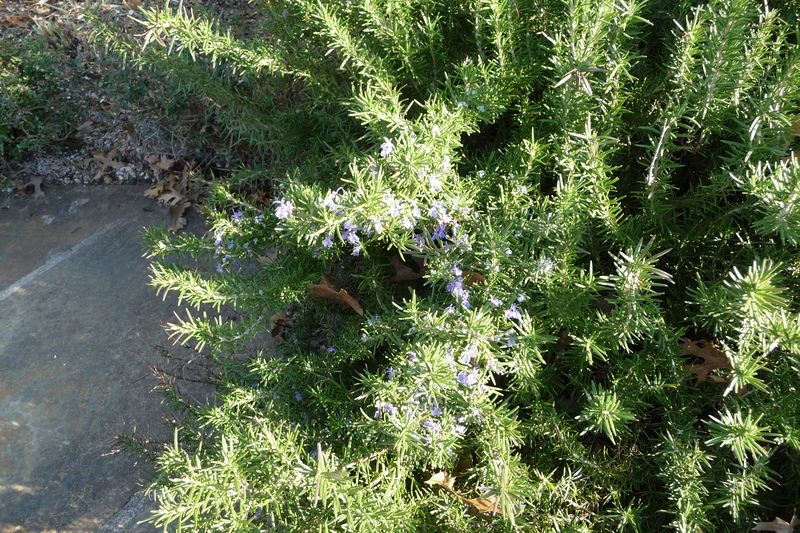 Five to be exact: three rosemary, one knockout rose, and one Russian sage, and they offer us endless hours of entertainment, occupation, and satisfaction. What do they do, exactly? Well, they grow. They blow in the wind. They turn deep-and-lush shades of green, silver, and red in the rain. They flavor our food. They pump fresh oxygen into the smoggy air. They provide quiet beauty amidst the urban assault of car horns, airplane engines, and construction work. They share our space while we relax on our patio, and (Best of all!) they give us something productive to do at home in the evenings. When you are childless, the time between dinner and bedtime can be a restless, directionless, anxious time void of activity and purpose. There is a great temptation to fill that void with television, internet surfing, Facebooking, and other mindless activities that overrule the silence, that numb the harsh reality of childlessness. Yet, numbing never nulls the pain. It just pushes it away for another time. That is why I need my bushes. They keep me active during the inactivity of my barrenness. They require my time and attention, putting to use what would otherwise be idle hands and painfully-childless hours. They do not numb my pain nor do they make it go away, but they do give me pleasure and purpose in spite of it. For, there is great satisfaction in caring for something, even if that something is not a child. So, turn off the television. Get out there and take care of something other than yourself. I think you will find that you can’t help but be reminded of how faithful your Heavenly Father is in caring for you. Excuse me, I need to go check on my bushes. Posted in Infertility on March 16, 2012 by Katie Schuermann.